Connectivity features are increasingly included as standard on new vehicles, with cellular modems in particular becoming a popular feature included even in base level trim. Now, connectivity is so important to Ford, that the automaker is actually offering an easy retrofit option to add connected features to Ford and Lincoln vehicles from model years between 2010 and 2016, with SmartLink, a new piece of hardware that drivers can just plug into their car’s OBD II port. The SmartLink includes a 4G LTE modem on board, letting it act as a Wi-Fi hotspot for up to 8 devices in the vehicle. It also enables remote start, lock and unlock functions, and can send alerts to a car owner via a companion web and mobile app to let them check on car healthy, and get alerts related to security and service requirements. Wheatley says that in the course of developing SmartLink and looking at customer feedback, they also found that users wanted different things from a connected car, with some seeking security via theft alerts, others looking for more insight into maintenance issues, and others just wanting ways to offer connectivity for their family devices on the road. SmartLink is a way to address the most frequent requests in terms of connectivity use cases for Ford vehicle owners. SmartLink isn’t the same as Ford’s SYNC 3 in-car infotainment system, which offers more in the way of integration with third-party apps and services, but it does offer some neat tricks via the companion app, including the ability to set geofences and speed limits. That could be very useful for parents of teens borrowing the family car, since the app can receive alerts if it a car with SmartLink installed goes beyond set boundaries or above specific speeds. It can also track driving habits over time, and suggest ways to be a better driver. 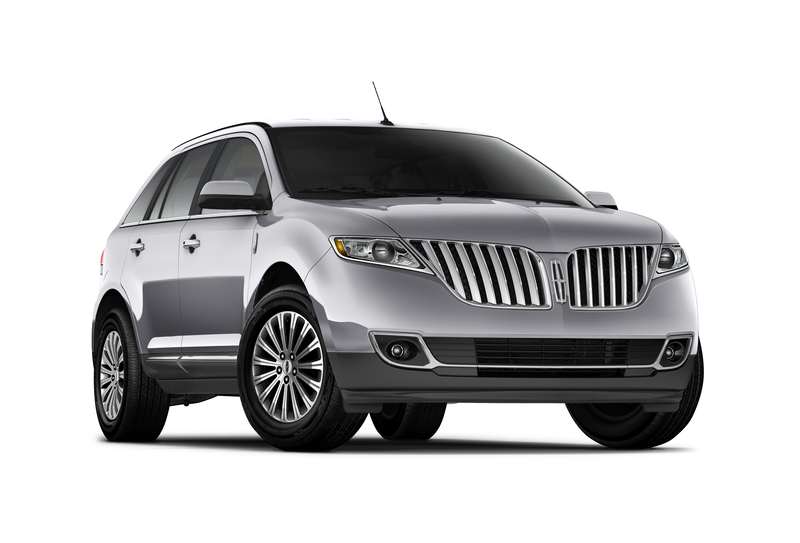 Older cars like this 2014 Lincoln MKX will be able to quickly add 4G and app-based features with the SmartLink. SmartLink is currently undergoing pilot trials at a few dealers in the U.S., and will be available broadly in the U.S. through dealerships this summer, with final pricing to be announced at that time. SmartLink is definitely an opportunity for dealers, since it gives them a way to potentially enjoy a more profitable post-purchase relationship with customers. “We think it’s a great opportunity for our dealers to stay connected after the time of purchase, to make sure that they’re in regular contact with that customer, keeping their vehicle in great working condition,” Wheatley told me. In fact, connected vehicles represent huge potential revenue gains over non-connected cars, according to a recent survey of auto industry executives by KPMG. A car with connectivity built-in could offer up about 10 times the revenue streams as one without, which is a big reason to help bring even older vehicles into the mix. I asked Wheatley whether SmartLink might support third-party apps and services eventually, as Ford has done with SYNC 3 in its newer models. “We’ve definitely done that in our new vehicles, so I think that is an opportunity for down the road, to see how we could give the customers in those older vehicles all the great technology that’s in our new vehicles, and all the connectivity features and benefits they have,” he said. SmartLink was developed in partnership with Delphi Automotive and Verizon Telematics (disclosure: Verizon owns Aol which owns TechCrunch) and has undergone two years of security and user experience testing to get to this point. It’s a smart move on Ford’s part to both address customer needs and open up new revenue potential, and yet another sign that connectivity is king these days in the automotive world.